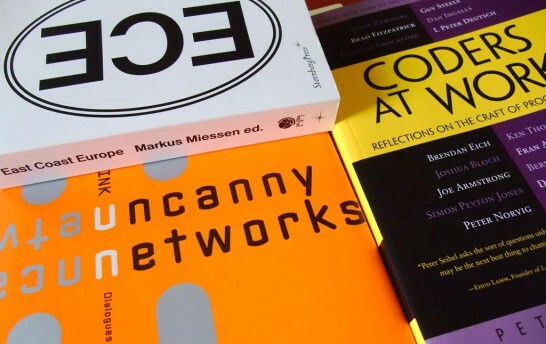 I recently found myself reading a few gorgeous interview collections — Geert Lovink’s “Uncanny Networks“, Markus Miessen’s “East Coast Europe“, and Peter Seibel’s “Coders at Work” — and decided that I should reengage with that practice myself. As you will hopefully notice, I used this opportunity to introduce CSS3 webfonts on greyscalepress.com, using the very convenient @font-face kit provided by FontSquirrel. The font used for the titles and copy is DejaVu Sans Condensed, a free/open-source font I happen to like a lot.